After the council voted to proceed with demolition of the Airspeed/Reynard’s building on Piccadilly you might have thought that it was all over. Not quite. A planning application is still required, and it’s open for comment/objection (if the system is having one of its apparently frequent failures please try again, more info below). The building is not, as I’ve read elsewhere, ‘being demolished’ at present. The barriers around the site, pictured above, last week, are because there’s apparently thought to be a danger from falling masonry from this neglected structure. Why would you want to lodge an objection? Well, York Civic Trust have, for starters (PDF). As have the Guildhall Planning Panel (PDF). Officers have set out the procedure for an application for a demolition in the Conservation Area for the Property Management team. 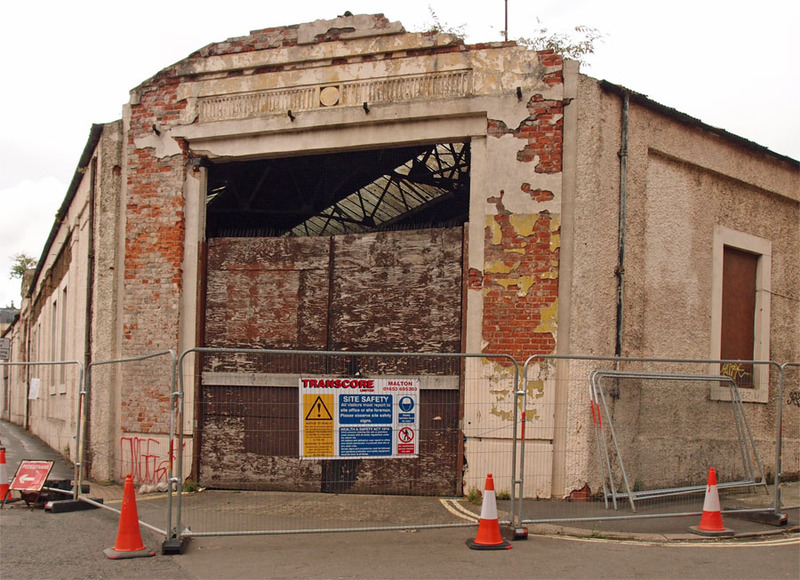 Before demolition can be approved, a Local Planning Authority should have full information about what is proposed for the site after demolition in the form of acceptable and detailed plans for redevelopment. Any redevelopment plan would have to meet the criteria for management in a conservation area, that the character and appearance of the conservation area will be conserved and enhanced. The purpose of these requirements is so that unsightly gaps are not allowed to develop in conservation areas while new proposals are brought forward. In the case of Reynards, the Design and Access Statement with the application says that following demolition down to ground level, the site will be surrounded with 2.4 m. high hoardings to be painted and decorated with art work. It could be an arguable planning objection that such treatment will not improve and enhance the conservation area. It could also be argued that such a proposal does not meet the requirement for a detailed plan for redevelopment of the site as mentioned above, and therefore is inadequate. It is a long-standing and important principle of planning in Conservation Areas that demolition of an existing building should not take place before (1) full permission has been granted for replacement development; and (2) a contract has been let for the construction of that development. There’s no accompanying planning application for a new building on the site. The council wants to demolish the building and leave us with an empty site with tall hoardings around it. Which is one way of dealing with an awkward and not particularly pretty bit of industrial heritage. We can grow a buddleia forest instead, as at Hungate, the Barbican site, etc. I’m not going to repeat all the information on the building’s history, as it’s probably widely known by now, and if not you can read about it more on the many pages on this site on the subject. Some people see it as merely an eyesore, and perhaps look forward to the site being built on to a much greater height, like most of the city centre sites nearby in the Walmgate/Hungate area. If the site is cleared and eventually redeveloped (after the inevitable buddleia forest has grown up while it’s vacant) there’ll be a massive light-blocking structure in its place and this part of Piccadilly will look like the bottom end of Piccadilly. Another bit of ‘could be anywhere’. The reference number is 15/01458/FUL, and you can comment online by visiting https://planningaccess.york.gov.uk/online-applications/ and putting that reference number in the search box. Or try this link to go straight to the relevant application. It might not work on your first attempt as the links to the planning access pages appear to have many temporary errors. Comments can also be made via email, quoting reference number 15/01458/FUL and including your name and address. The email address is planning.enquiries@york.gov.uk. Your comments will be viewable online until the application is decided. I had rather given up, I must admit, particularly when pondering the strange and rather questionable situation of the council giving permission to itself. Reading the report prepared as the ‘Design and Access Statement’ (PDF) reinforced my impression that the council is going to press ahead with clearing the building out of the way and that this report was prepared in rather a hurry. ‘The recommendations contained in the 2019 Engineers’ report’ would be an interesting read. If buildings like this are cleared from the landscape all we have left of them for future researchers is written and photographic evidence. To future researchers the local authority’s documents will probably be seen as a reliable source. 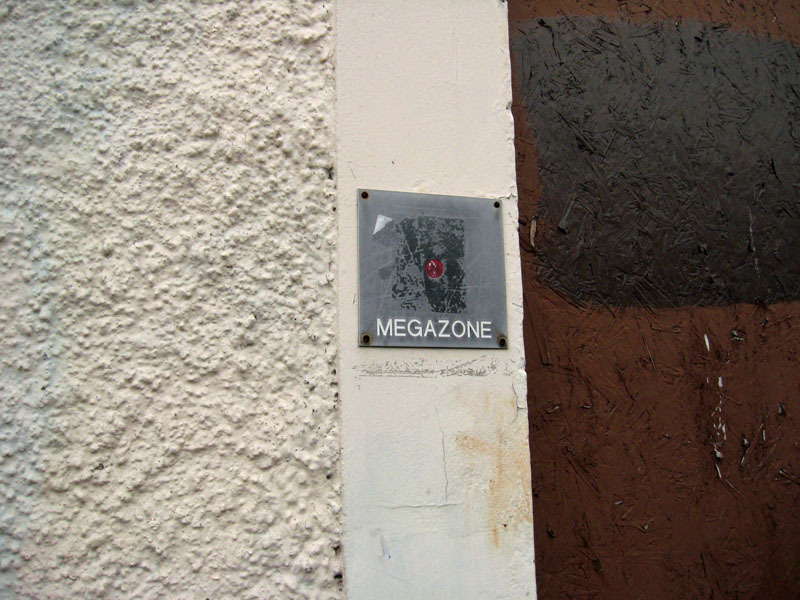 So I’d just like to point out that it wasn’t Laserquest, as the report says, it was Megazone. By Lisa @YorkStories • 10 August 2015 Buildings, Planning To link to this page's proper location please use the > permalink.